That’s it. So simple! But how do you incorporate this into your brand story? There are so many ways to use this template, from telling your brand story to making an advertisement. Let’s fill it out for say…a beauty product maker looking to show people how their product helps heal dry skin. Once upon a time there was a fearful woman who lived in a dry, dry desert. Her fear of anything touching her skin was calmed in this open environment, but her skin was dry. Every day she went out to the well and poured water over her dry skin, but it never helped. Then one day she tripped over an Aloe plant, the only one around for yards. She cursed herself as she saw it had broke open onto her skin. Because she didn’t know if it would hurt her skin, she tried to vigorously remove the cactus juices from her leg using olive oil. Because of that, she actually absorbed some aloe and oil into her skin. She waited and waited to see if she would get a rash, until finally she noticed that she instead had incredibly soft and smooth skin. 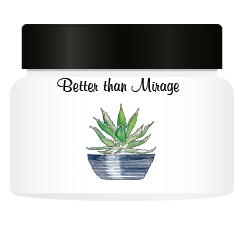 Let’s mix that up with a little Who, What, How, Why: We are Better than Mirage. We make skin-soothing products for sensitive skin by using desert aloe plants and without added harsh chemicals. We do this to help women and men suffering from sensitive dry skin to achieve real, lasting relief. Once upon a time there was an aspiring yet clumsy graphic designer from back East who wanted a high end design job. Every day she wore shoes with flat heels because she knew she would have a hard time with anything else. Then one day she spotted a job that she really wanted at a high end design firm. She got an interview! Because of that, she thought she would look more professional in high heels, and so she wore them to the interview. And because of that, she fell on her face on the way through the interview door. When she was finally out of that horridly embarrassing interview and at home in her usual routine, she got a call telling her she was the best candidate for the job! Who, What, How, Why: That woman is now a retired professor from Sac State University. She inspired students to work hard and learn to handle their mistakes with grace by telling them this story. She told it because she wanted them to succeed. She also told it to make her seem more human because, let’s face it, sitting next to somebody who made millions of dollars over her life just to pick out colors (among other things) is intimidating! You don’t have to sell hard in your story; just share something that makes you unique, or something people can relate to. You’re essentially identifying a pain point that your audience has, and letting them know that it’s solvable. You will want to know what you are doing with the solvable problem because eventually, your potential client becomes the star of their own story, and you want to be ready to give them the best ending possible. Need a little help planning or executing your story? Give us a call or drop a note! Next Next post: Brand consistency. Better than selfies with bears.